When applying for membership in the credit union (regular savings account), what identification is required at the time of application? At least 2 of the following valid items are required with one of the IDs being a driver’s license, passport, or state ID. Expired IDs or the BMV receipt (indicating a new DL or ID has been applied for) will not be accepted. A $5 membership fee is required to open a savings account. ID must have correct/current address. What is the difference between a certificate and a step up certificate? 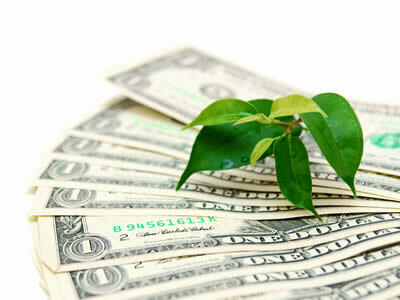 A regular share certificate is a term account that earns monthly or quarterly dividends. 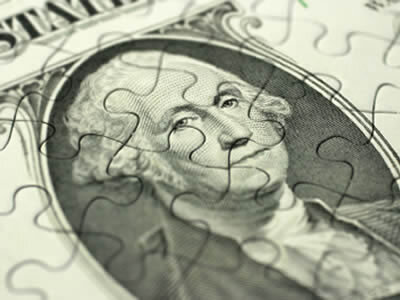 The term and dividend rate remains the same throughout the life (or term) of the certificate. 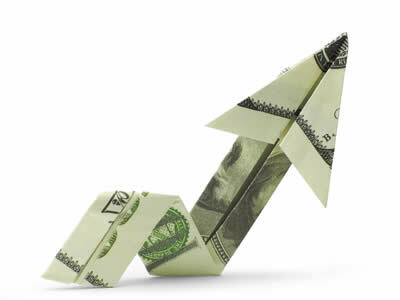 A step up certificate is also a term account that earns monthly or quarterly dividends. Share and IRA certificates with terms of 25, 31, 37, 49, and 61 months are available to the step-up program. A minimum certificate balance of $1,000 is required. Certificates will be stepped up to MidWest America Federal Credit Union’s weekly rate (will not be allowed to step-up a competitor’s current rate). One time step-up allowed during the term of the certificate. Additional funds can be added to the certificate at the same time the step-up option is performed (no minimum). How can I change my email address on my account? Can I do it online? Your email address can be changed online by signing on MidWest America Internet Banking and clicking on Settings -> Contact Information -> Email. What happens if I lose my key to my safe deposit box? If only one key is lost a replacement key will be made at the expense of the member. If both keys are lost the box must be drilled and a new lock replaced at the expense of the member. Can I get foreign currency through the Credit Union? What is the Credit Union Routing and Transit Number (R&T) and why is it important? You will find this number on the lower left corner of your MidWest America checks. What is the minimum balance for a checking account? There is no required minimum balance for a checking account. What do I need to open a checking account at MidWest America? Note: expired IDs will not be accepted. ID must show correct/current address. Reward Checking acts like a traditional checking account but has added features that actually reward you for using it. Earn rewards like a premium interest rate and fee refunds on ATMs nationwide. All you have to do to get these great benefits is fulfill three easy requirements—things you're probably doing already. Learn more here. Freedom checking is a free checking account. There is no minimum balance required. There is no "per check" charge. ATM, Debit Card and Overdraft Protection is available for those who qualify. Freedom checking is a non-interest bearing account. You purchase your own checks. What is Benefits Plus® Checking? Benefits Plus® Checking entitles you to an exclusive program which saves you and your family money on products and services you use every day. Free personalized checks (up to 2 individual orders per year), $10,000 AD&D insurance, and the following list of services are available and much more! How can I get a copy of a canceled check? You can contact the Credit Union by phone or in person and request a copy of a canceled check. The cost for a check copy is $5. However, you may also obtain a copy of a canceled check thru MidWest America Internet Banking. Simply sign on Internet Banking and bring up your checking account history. Once you have located the check cleared on the history click on the check # and the check image will appear on your screen. You may print the image at that time on your own printer. There’s no charge for this. What is the cost for obtaining a copy of my account statements? The cost for a statement copy is $5 per page if you are not set up for Electronic Statement delivery. However, if you are set up to receive E-Statements, you can produce your own statement copies and there is no cost for that service. Can I see pending ACH transactions? Pending ACH transactions can be viewed thru Internet Banking by clicking on Transfers & Payments -> Scheduled Transfers or with Mobile Banking. How much does it cost for a check/draft stop payment? The cost for a stop payment is $25.00 per item or series of consecutive numbers. What is a Debit Card? Our VISA® Debit Card looks like a credit card but works like a check. Purchases are withdrawn directly from your checking account. The card is accepted worldwide at any business that accepts VISA®. You can also use it at an ATM. It's less bulky than a regular checkbook and safer than carrying large sums of cash. How do you apply for a Debit Card? There is no application. Open a checking and request a card. The Credit Union representative will have you sign a membership application or account change card. Instant issue debit cards are offered at all of our branch offices. You can walk out with the new debit card in-hand…instantly! If a member is under the age of 18, can they apply for a Debit Card? Yes, but he/she must have a signer of legal age on the account as well. What if I don’t qualify for a debit card? The CUMONEY® Visa® Everyday Spend prepaid debit card is a great alternative to our standard debit cards. They are safer than carrying cash and remove the fear of overdrawing and receiving overdraft fees. You can make purchases anywhere Visa® is accepted and track spending and add funds with an online management tool. What benefits come with a CUMONEY® Visa® Everyday Spend Card? Can I select my own PIN # on my Debit Card? Yes. You can bring the card and positive identification to any branch location and select your own PIN. Can I reset my Debit Card pin online? No. You must contact the Credit Union to have a PIN reset. Is there a charge for a member if they need their PIN # changed for their Debit Card? There is no charge to simply change a PIN. What should I do if I lose my Debit Card over the weekend or sometime when the Credit Union is not open? You can have your card blocked to avoid any future usage by calling our MidWest Phone Banking at 260-423-8278 or toll free at 800-847-2278. Follow the prompts to block your card. The Card Control feature in our mobile banking app to block and/or reorder a new card as well. You can also leave a message on our after-hours voice mail; however, any action would not take place until we are once again open for business. How much does it cost to replace a lost Debit Card? What is the number to call to activate my Debit Card? There is no number to call. Activate the card by using an ATM. What do I do if I believe someone has my Debit Card or is using my Debit Card number? Contact the Credit Union right away at 800-348-4738 so the number can be blocked and a new card with a different number can be ordered. How do I reorder damaged cards? Contact MidWest America by calling 800-348-4738. What are the daily debit card limits? There is no limit on the number of debit card transactions. However, there are certain transaction amount limits that are in place depending on how you use your debit card during purchase. Point-of-sale (POS) transactions are completed using your PIN and they are limited to $500 in a 24 hour time period. Credit (Signature-based) transactions are limited to the amount of your total available balance in your checking, savings, and overdraft protection if applicable. ATM cash withdrawals are limited to $200 in a 24-hour time period. Are there any blocks in place on my debit card? In the best interest of our members and the Credit Union in preventing fraud losses, we have placed several blocks and may continue to modify blocks as necessary that could affect the method of authorization with non-EMV merchants. The preferred method for authorizing a successful transaction at a non-EMV terminal would be swiping the card and entering your PIN. Debit cards are blocked for international transactions (transactions outside of USA). If you are traveling out of the US or you need to complete an international debit card transaction, please contact the Credit Union's Visa department at 800-348-4738 ext. 4000. There are no blocks in place for EMV terminals. Can I use my Debit Card when I travel out of state or internationally? Yes. Anywhere VISA® is accepted; however, you must notify MidWest America when travelling internationally and specify which country(ies) you will be travelling to and for how long so we can unblock your card accordingly. What should I do if I am out of town and my Debit Card is declined, and I know that the funds are available? Have the merchant run the card a second time. If it still doesn’t work, contact MidWest America toll free at 800-348-4738. There could be any number of reasons: phone line problems, card unable to be read, etc. The Credit Union can help to determine what the problem is. My Debit Card is going to expire soon; will you send me a new card before then? Yes. As long as your account is in good standing and the card has been actively used, a new card will automatically be sent before the end of the expiration month. Can I make a deposit to an ATM that is not owned by MidWest America? Does it matter if it is a check or cash deposit? Yes, if your account qualifies for ATM deposit capability. It does not matter if it is a cash or check deposit. When are my funds available that I deposit at an ATM? Funds from any deposits (cash or checks) made at ATMs MidWest America owns or operates will be available on the second business day after the day of deposit. The first $200 of a deposit will be available by the first business day [after the day of deposit.] Funds from any deposits (cash or checks) made at ATMs we do not own or operate will not be available until the fifth business day after the day of your deposit. All ATMs that we own or operate are identified as our machines. What should I do if I suspect or detect that fraud has occurred on my account? You need to contact the Credit Union so that appropriate dispute paperwork may be completed. A police report may be needed. What should I do if I suspect fraud on my account, or if a fraud block has been placed on my Debit Card? If you suspect fraud on your account, you can avoid any future card use by blocking the card from our mobile app or by following the prompts on MidWest Phone Banking by calling 260-423-8278 or toll free at 800-847-2278. You can also leave a message on our after-hours voice mail; however, any action would not take place until we are once again open for business. If your card has been blocked by our 24-hour fraud center due to suspicious activity, they will contact you directly at the phone number you have on file at the Credit Union to investigate the activity. Can I have my photo on my Debit Card? No. We currently do not offer photo debit cards. Should I notify someone at MidWest America if I notice an ATM is down? It is not necessary, in most cases the Credit Union will be aware of down ATMs and will work to get them back in service ASAP. How can I attach my savings account to my Debit Card? The savings account is automatically attached along with the checking account when the card is opened. What kinds of loans does MidWest America offer? What are your current loan rates? Rates are based upon the borrower’s qualifications and vary depending on the type of loan and collateral. You can check out our current loan rates on our website on our loan rates page. How do I apply for a MidWest America Loan? We make applying for a loan easy. You may apply in person at any branch, over the phone, or online. Who do I contact with questions about my loan? Stop by any local branch and a MidWest America loan officer will assist you. If you prefer, you may contact a loan officer by phone at 260-482-3334 or 800-348-4738. How do I make a loan payment? We have several options for paying your loan. You can set up an automatic payment from your financial institution by filling out the Automatic Payment/Deposit Authorization form and getting that and a voided check copy back to the call center. Another option is if you use Bill Pay at your primary financial institution you can add us and have them send us the payment directly. The fastest way would be to pay by phone by calling our call center at 800-348-4738 with a debit card or with your checking account information, however there is a $6 phone transfer fee. 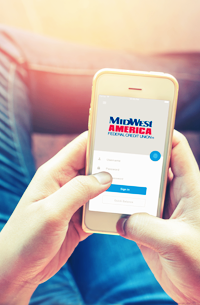 If MidWest America is your primary financial institution you could transfer directly from your account to your loan, mail us a check, or use the night deposit box at any location. Who do I talk to about insurance on my vehicle? Please contact a loan officer at 260-482-3334 or 800-348-4738. Is there a penalty for paying off my loan early? No. We do not charge either pre-payment penalties or minimum finance charges. The Skip-a-Payment program allows members of MidWest America FCU, with a personal or vehicle loan to skip a loan payment. If you have more than one loan, and are current on them, you may skip a payment on each loan. You may skip up to 2 payments per loan in a rolling 12 month period. Skip-a-Payment is not available on your first loan payment and coupons cannot be used in consecutive months. The fee is $35.00 per loan, which is simply added to your principal balance, and is not available for mortgages, home equity loans, VISA® or leases. What happens to my loan when I skip a payment? Interest will continue to accrue. When your next monthly payment is made, you will notice that more of your payment went toward interest than usual. This happens because of the simple daily interest due on your principal balance since your last payment. For mortgage related questions, please visit our separate FAQ section on our Mortgage Center page. Your name, address, full or partial Social Security number, date of birth, and possibly employment information. Information about credit that you have, such as your credit card accounts, mortgages, car loans, and student loans. It may also include the terms of your credit, how much you owe your creditors, and your history of making payments. Your public record. Information about any court judgments against you, any tax liens against your property, or whether you have filed for bankruptcy. Inquiries about you. A list of companies or persons who recently requested a copy of your report. Why is a credit report important? Lenders may use your credit report information to decide whether you can get a loan and the terms you get for a loan (for example, the interest rate they will charge you). Insurance companies may use the information to decide whether you can get insurance and to set the rates you will pay. Employers may use your credit report, if you give them permission to do so, to decide whether to hire you. Telephone and utility companies may use information in your credit report to decide whether to provide services to you. Landlords may use the information to determine whether to rent an apartment to you. Who collects and reports credit information about me? There are three major credit bureaus--Equifax, Experian, and TransUnion--that gather and maintain the information about you that is included in your credit report. The credit bureaus then provide this information in the form of a credit report to companies or persons that request it, such as lenders from whom you are seeking credit. Where do credit bureaus get their information? Credit bureaus get information from your creditors, such as a bank/credit union, credit card issuer, or auto finance company. They also get information about you from public records, such as property or court records. 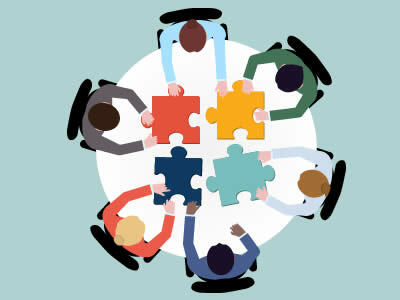 Each credit bureau gets its information from different sources, so the information in one credit bureau's report may not be the same as the information in another credit bureau's report. How can I get a free copy of my credit report? You can get one free credit report every twelve months from each of the nationwide credit bureaus--Equifax, Experian, and TransUnion--by visiting www.annualcreditreport.com or calling (877) 322-8228. You will need to provide certain information to access your report, such as your name, address, Social Security number, and date of birth. You can order one, two, or all three reports at the same time, or you can request these reports at various times throughout the year. The option you choose will depend on the goal of your review. A report generated by one of the three major credit bureaus may not contain all of the information pertaining to your credit history. Therefore, if you want a complete view of your credit record at a particular moment, you should examine your report from each bureau at the same time. However, if you wish to detect errors and monitor changes in your credit profile over time, you may wish to review a single credit report every four months. Who else is allowed to see my credit report? Because credit reports contain sensitive personal information, access to them is limited. Credit bureaus can provide credit reports only to lenders from whom you are seeking credit; lenders that have granted you credit; telephone, cell phone, and utility companies that may provide services to you; your employer or prospective employer, but only if you agree; insurance companies that have issued or may issue an insurance policy for you; government agencies reviewing your financial status for government benefits; and anyone else with a legitimate business need for the information, such as a potential landlord or a bank at which you are opening a checking account. Credit bureaus also furnish reports if required by court orders or federal grand jury subpoenas. Upon your written request, they will also issue your report to a third party. Does the credit bureau decide whether to grant me credit? No, credit bureaus do not make credit decisions. They provide credit reports to lenders who decide whether to grant you credit. How long does negative information, such as late payments, stay on my credit report? Generally, negative credit information stays on your credit report for seven years. If you have filed for personal bankruptcy, that fact stays on your report for ten years. Information about a lawsuit or an unpaid judgment against you can be reported for seven years or until the statute of limitations runs out, whichever is longer. Information about criminal convictions may stay on your credit report indefinitely. What can I do if I am denied credit, insurance, or employment because of something in my credit report? And what can I do if I receive less favorable credit terms than other consumers because of something in my credit report? If you are denied credit, insurance, or employment--or some other adverse action is taken against you, such as lowering your credit limit on credit card account--because of information in your credit report, the lender, insurance company, or employer must notify you and provide you with the name, address, and phone number of the credit bureau that provided the credit report used to make the decision. You can get a free credit report from this credit bureau if you request it within sixty days after receiving the notice. This free report is in addition to your annual free report. In addition, lenders may use a credit report to set the terms of credit they offer you. If a lender offers you terms less favorable (for example, a higher rate) than the terms offered to consumers with better credit histories based on the information in your credit report, the lender may give you a notice with information about the credit bureau that provided the credit report used to make the decision. Again, you can get a free credit report (in addition to your annual free report) from this credit bureau if you request it within sixty days after receiving the notice. If you receive one of these notices, it's a good idea to get your free credit report and review the information in it right away. I've been receiving unsolicited credit offers. Why? Can I opt-out of receiving these offers? Credit bureaus may sell consumers' information, including names, addresses, and credit information, to creditors or insurers, who may then offer credit or insurance to you. You can have your name and address removed from these lists by opting-out of the listing. This will reduce the number of unsolicited offers you receive. To opt-out, call 888-5-OPTOUT (888-567-8688). You will need to provide certain information in order to opt-out, such as your name, address, Social Security number, and date of birth. You have the ability to opt-out of receiving offers either for five years or permanently. If you want to opt-out permanently, you will need to fill-out, sign, and mail-in a form. The form is available by either calling the toll-free number or visiting the website. You can reverse your opt-out decision at any time to start receiving offers of credit and insurance again by calling the toll-free phone number or visiting the website. What is a credit score? How is my credit score calculated? The age of your accounts. What can cause my credit score to change? Because your credit score reflects information obtained from your credit report, changes to your credit report may cause your credit score to fluctuate. For instance, if you pay your bills late or incur more debt, your credit score may go down. However, if you pay down an outstanding balance on a credit card or mortgage or correct an error in your credit report, your credit score may go up. How can I get my credit score? In some cases, a lender may tell you your credit score for free when you apply for credit. For example, if you apply for a mortgage, you will receive the credit score or scores that were used to determine whether the lender would extend credit to you and on what terms. You may also receive a free credit score or scores when you apply for other types of credit, such as an automobile loan or a credit card. You may also purchase your credit score from any of the credit bureaus by calling them or visiting their websites. What is Regulation D (Reg D)? Reg D is a federal regulation that limits the number and type of withdrawals from savings or money market accounts to six per month (per account). What is the purpose of Reg D? The purpose of Reg D is to regulate the level of reserves a financial institution maintains. The required reserve amount for each financial institution is based on the balances it has in its transactional accounts, such as checking accounts. How does a depository institution comply with the monthly limit on convenient transfers from savings deposits? Regulation D requires a depository institution to comply in one of two ways: either (1) prevent transactions in excess of the limit or (2) adopt procedures to monitor excess transfers on an ex post basis and contact a member who exceeds the limits more than occasionally. If a member continues to violate the transfer limits after notification, the depository institution must either close the savings account and place the funds in another type of account or take away the transfer and draft capacities of the savings account. How does Reg D affect my account? If you have a MidWest America FCU savings or money market account and frequent withdrawals are made from any one of those accounts to cover overdrafts from your checking account, Reg D withdrawal limits could possibly result in denied debit card/check/ACH/EFT transactions on your account. When does the Reg D counter reset? The Reg D counter resets at the beginning of each month, bringing the debit card counter and the ACH/draft counter back to zero. What types of transactions are counted toward the 6 (six) transfers permitted each month? 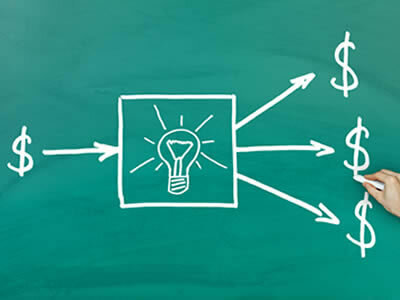 ACH transfers from a savings or money market account to another financial institution or third party for payment by means of a preauthorized or automatic transfer, telephone agreement, order or instruction. Checking account debit card transactions which overdraft from a savings or money market account when funds in the checking account are insufficient. Recurring scheduled transfers from a savings or money market account to any other MidWest account. What types of transactions are not counted toward the 6 (six) transfers permitted each month? If I have two savings accounts, am I limited to 6 transactions for each account or 6 in total for both? Each month you are permitted to have up to 6 transfers in each savings-type account. This means up to 6 transactions in your regular savings account, up to 6 transactions in your "You Name It" account, etc. How can I make a transfer if I have exceeded Reg D limits? Do ATM transfers from savings and money market accounts count toward Reg D? No, ATM transfers will not count toward Reg D.
Routing # 274973141 Web Design by Avtec Media.